Ofatumumab is a fully human anti-CD20 monoclonal antibody that has been approved for the treatment of chronic lymphocytic leukemia. It has been increasingly used in the treatment of autoimmune hemolytic anemia, rheumatoid arthritis, and nephrotic syndrome. There are limited case series reporting the off-label use of ofatumumab in SLE, with minimal data in childhood-onset SLE (cSLE). In majority of these reports, ofatumumab was used as alternative B-cell depletion therapy for patients who have become intolerant of rituximab due to development of severe infusion reactions. We describe our center’s experience with the use of ofatumumab in cSLE patients who have become rituximab-intolerant. A retrospective case series analysis of cSLE patients who met the ACR classification criteria for SLE and who received ofatumumab at our center was completed after IRB approval. Collected data include patient demographics, clinical presentation and course, medications, prior use of and reaction to rituximab, and response to ofatumumab therapy. Nine patients were included (females: 6, Hispanic ethnicity: 5, African-American: 3, Asian: 1). At the time of the first ofatumumab infusion, median age was 16 years (range: 11-18) and median disease duration was 39.6 months (16.2-139). All patients had received rituximab (median cumulative dose: 3g [0.5-9], median number of infusions received: 3 [0.5-13]) and developed severe infusion reactions precluding retreatment. Significant combination immunomodulatory therapy was also received pre-ofatumumab: plasmapheresis in 3 patients, cyclophosphamide in 2, IVIG in 3, mycophenolate mofetil in all 9, and cyclosporine in 1. Indications for ofatumumab included renal flare in 6 patients, extrarenal flare in 2, and both renal and extrarenal flare in 1. Ofatumumab (median cumulative dose: 1g [0.3-2.9], median number of infusions received: 2 [1-4]) was well-tolerated in all 9 patients. Within 6 months post-ofatumumab, partial renal response was achieved in 5 of 7 patients with renal flare. Clinical improvement was noted in all. B-cell depletion was achieved in 7 patients who were tested 3 months post-ofatumumab. In 5 patients tested, median B-cell repletion time was 6 months (range: 4-12). Three patients received a second course of ofatumumab within a median time of 18 months (5-19) due to disease flare. Two patients developed serious adverse events: 1 had septic shock 3.5 months after ofatumumab (only received one dose due to early B-cell depletion; also had significant prior immunomodulatory therapy) and 1 had an anaphylactic reaction after the third ofatumumab dose (previously also developed anaphylaxis after first rituximab infusion). In this retrospective review we describe our center’s experience with the use of ofatumumab in nine patients with childhood-onset SLE who had become intolerant of rituximab due to severe infusion reactions. Our patient outcomes suggest that ofatumumab is a safe and well-tolerated alternative therapy to rituximab. Further studies in a larger cohort are warranted to determine long-term safety, efficacy, and the appropriate dosing regimen in cSLE patients. Disclosure: A. C. Sagcal-Gironella, None; E. Muscal, None; A. A. Ramirez, None; M. Marcus, None; M. Gillispie, None; W. B. Lapin, None; M. M. De Guzman, None. Sagcal-Gironella AC, Muscal E, Ramirez AA, Marcus M, Gillispie M, Lapin WB, De Guzman MM. Ofatumumab Use in Childhood-Onset Systemic Lupus Erythematosus: A Single-Center Experience [abstract]. Arthritis Rheumatol. 2018; 70 (suppl 10). 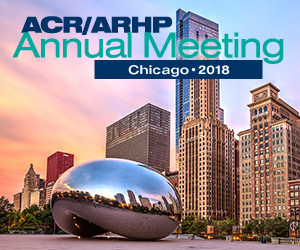 https://acrabstracts.org/abstract/ofatumumab-use-in-childhood-onset-systemic-lupus-erythematosus-a-single-center-experience/. Accessed April 23, 2019.